Life in History of Art at Birkbeck | Kate Retford, Head of the History of Art Department, will use this site to keep you up to date with all the latest activities of staff and students. British art awards, and bon voyage! The Paul Mellon Centre for British Art is a key London institution supporting the study of British art, architecture and visual culture, though its publishing activities (including the excellent online British Art Studies journal, which is very much worth a browse) and through fellowships and grants. Our department has in the past few years established itself a major centre for British art history, and this is reflected in the announcement of the latest Paul Mellon Centre funding round. Prof Lynda Nead has been awarded a Senior Fellowship to carry out research on her book ‘British Blonde: Glamour, Desire and Femininity in Post-War Britain c.1945-70.’ Prof Steve Edwards received a Research Support Grant for visits to the George Eastman House, Rochester, NY and the Metropolitan Museum of Art to carry out research on his project ‘British daguerreotypes – Antoine Claudet’. PhD student Shijia Yu was also awarded a Research Support Grant for a trip to the US (where she’ll visit seven archives and libraries, including Yale Centre for British Art, Winterthur Library, and the Morgan Library) to research her dissertation project ‘Amusing, Interesting and Curious’: A Study of English Paper Peepshows, 1825-1851.’ Many congratulations to all three of them! Some sample images below. 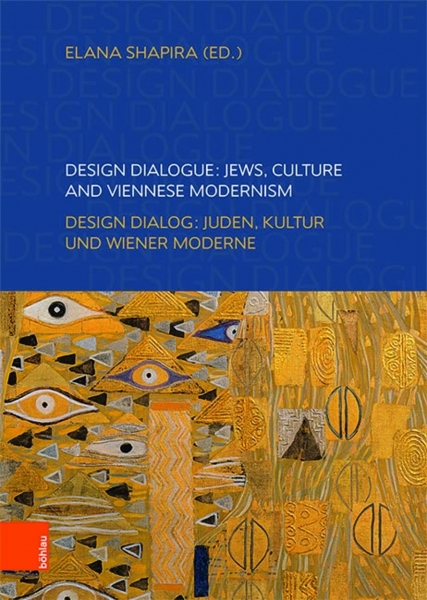 Congratulations as well to Adelheid Ruthenberger, a student on the MA Museum Cultures, who has been named runner-up for the first Lorraine Lim Prize. The prize was set up in honour of Dr Lorraine Lim, Lecturer in Arts Management at Birkbeck, who died last year. It is awarded on the basis of a college-wide competition to an exceptional undergraduate or postgraduate student who has excelled in contributing to the understanding of cultural policy, especially addressing cultural work, equality and justice in the cultural sector. Adelheid received the runner-up award for her submission questioning the relevance of the National Pavilion Structure of the Venice Biennale. The winning essay was by Karla Pauline Gudiño Yañez, a student on the MA in Arts Policy and Management in the Department of Film, Media and Cultural Studies. Karla’s essay argued for a human rights-based approach to contested local heritage policy in her home country of Mexico. Both essays were commended for demonstrating originality and the potential to enhance the knowledge pool in cultural policy studies, honouring and ensuring the legacy of Dr Lim. In the ‘very short notice’ department: I am giving a public lecture this evening, 1 April, 6pm at the Art Workers Guild on Queen’s Square as part of the series organised by the London Art History Society. The title is: ‘When Room becomes Cell: solitude and isolation in asylum architecture’. Free admission; more details on the lecture and all the other events organised by the society here. Giving you considerably more notice about a major upcoming lecture by Professor Fiona Candlin, on 28 May, 6pm. It’s her inaugural lecture (these are public lectures organised to mark colleagues’ promotion to professor). She’ll ask the deceptively simple question: ‘What is a Museum? (And how would we know? )’ It’ll be a great event for the department and it’d be good to see you there. More information and a booking link here. Finally, and how could I forget to mention, Spring term is over, the sun is shining, and the break is upon us. Bon voyage to all of you embarking on the field trip to Venice next weekend. The itinerary sounds amazing, with a vaporetto trip, the Doge’s Palace, walking tours, a day trip to Padua, and a special outing for the foodies to the historic spaghetti farms of the Veneto. More on all of that in a future blog. You may remember over Christmas that the street art trickster Banksy was in the news again when a new piece appeared on a garage wall in the steel town of Port Talbot in Wales, putting that community in the art world spotlight. As it happens, one of our current MA students, Amanda Roderick, knows Port Talbot, and the Welsh contemporary art scene, well. Amanda splits her time between Port Talbot and London, and is currently on a sabbatical away from her role as Director & Curator of Mission Gallery, a publicly funded contemporary art gallery based in Swansea. I thought she’d be perfectly positioned to comment on the appearance of the Banksy and its current and potential future impact on her home town. Turns out the garage wall in question is on the street she grew up in! 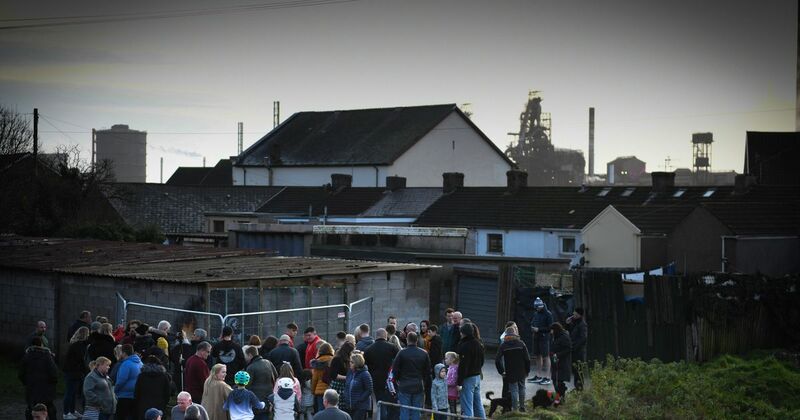 Take a moment to read her reflections on the Birkbeck Comments blog on Banksy, Port Talbot, funding for the arts, and ownership in the public realm. We’re delighted to announce the results of the selection process for this year’s Venice Fellowships. Patricia Yaker Ekall (BA History of Art) and Corinna Henderson (MA History of Art) have been selected to represent Birkbeck on the scheme. Birkbeck School of Arts partners with the British Council to offer these fellowships every year as part of the Venice Biennale (or, in alternate years, the Architecture Biennale); Venice fellows spend a month in Venice, conducting independent research and mediating the exhibition in the British Pavilion. This year, the British Council has commissioned the artist Cathy Wilkes to represent Britain; the exhibition will be curated by Dr Zoe Whitley. You can read more about the new fellows, the scheme, and Cathy Wilkes here. 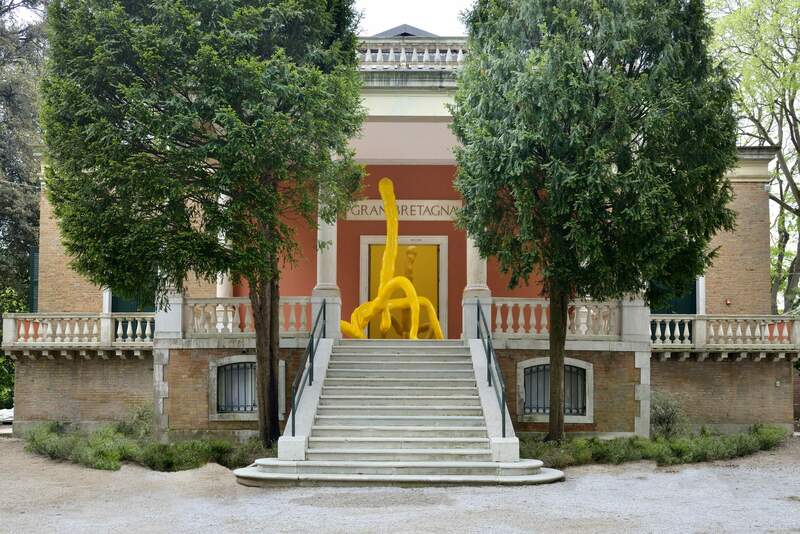 Exterior of the British Pavilion on the occasion of Sarah Lucas’s exhibition, I SCREAM DADDIO, at the British Pavilion, 2015. © Cristiano Corte. As announced in previous blogs, there’s a lecture in the Murray seminar series this evening: Sandy Heslop (University of East Anglia) will be speaking on the questions surrounding a medieval manuscript: ‘The Tiberius Psalter: a book for Archbishop Stigand?’, today, 18 March 5pm in Keynes Library. 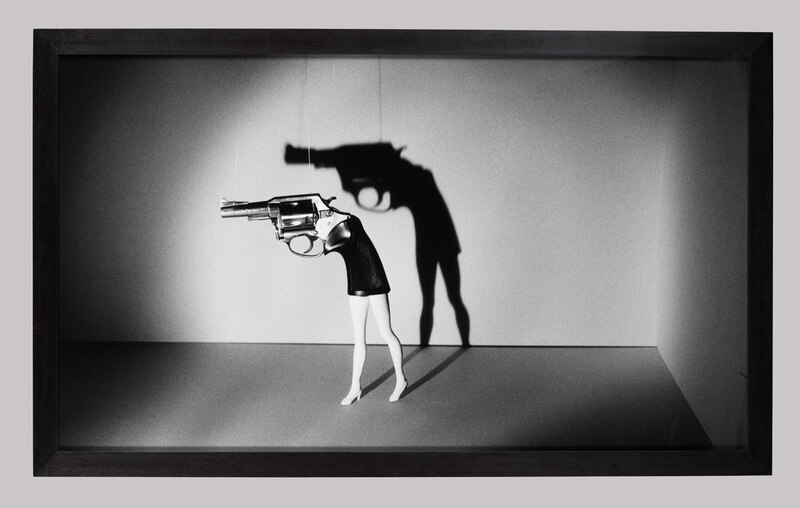 And Jennifer Tucker, Associate Professor of History and Science in Society at Wesleyan University (USA), is giving two talks next week on aspects of her work on the visual culture and museology of firearms. The Centre for Museum Cultures hosts her on 25 March 6pm in Keynes, when she’ll speak alongside Jonathan Ferguson (Keeper of Firearms & Artillery, Royal Armouries Museum, Leeds) on‘Curating Firearms in Museums in the 21st Century’. Then on 26 March 6pm she’ll be back in Keynes giving a talk organised by the History and Theory of Photography Research Centre entitled ‘Load, Point and Shoot: Cameras, Gun Cartridges, and the “Black Boxes” of History’. All welcome to both of these events! Finally, for BA finalists and Graduate Certificate students, as the term comes to an end, you may be thinking about what next. We have an expanding range of postgraduate programmes in the department, in History of Art, History of Architecture, History of Photography and Museum Cultures. You can study for MAs, Postgraduate Certificates and Postgraduate Diplomas in all these areas. And there’s funding available – including the Wallace Studentships, which are specifically for MA students in our department. Funding deadline is 31 May. It’s student survey time again: your chance as Birkbeck students to give your feedback on your experience here, negative and, hopefully, positive. If you’re in your final year of a BA programme, you’ll have received (several) emails from the National Student Survey, which is the big one, the results of which are publicly available, and paid close attention to by the government’s Office for Students. Please do take the time to fill it out. There are also internal Birkbeck surveys for all other students, undergrad, postgrad, and PhD, and we are very eager to have as many people as possible fill those out. You can find links to all the surveys here, along with info about how we’ve changed things in the past in response to your feedback. I’m also always very happy to have feedback on any aspect of your programmes and Birkbeck experience – you can email me directly at l.topp@bbk.ac.uk. Our students and staff continue to be active in the blogosphere. Here, Associate Lecturer Monica Bohm-Duchen how she’s launched a major national arts festival, Insiders/Outsiders, devoted to documenting the experiences of refugees from Nazi Europe and their contribution to British culture. Part of the inspiration was a course she taught for us (which will be offered again in 2018-19) on The Immigrant Experience in British Art. 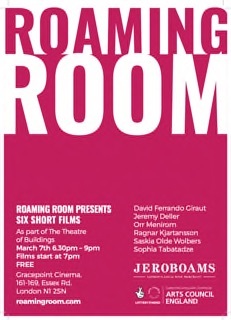 See her blog post for upcoming film screenings in the Birkbeck cinema and an exhibition in the Peltz Gallery. Lorna Robertson, who graduated recently from the MA History of Art with Photography, posts here about her research in our department’s Jo Spence Memorial Library on what the holdings convey about the representation of women in visual culture. If you’re inspired to apply to the MA, you may have seen that we now offer a separate MA History of Photography, as well as MA History of Architecture, MA History of Art and MA Museum Cultures. All are open for applications for 2019-20 until October 2019. I (this is Leslie again) was part of an event when I was visiting fellow at Queen’s University in Ontario with a fun format and a serious topic – it was a free-form conversation, complete with sofa, between me and Queen’s philosopher Lisa Guenther, on the topic of liberation and confinement in the single room. They’ve just launched a podcast series, and our conversation is first up. So, for your listening pleasure on your next long journey, here it is. And if you want to see something similar live, put 24 June in your diary. Lisa Guenther will be visiting Birkbeck and we’re planning a reprise, with a third participant, the renowned historian Barbara Taylor, from Queen Mary University of London. 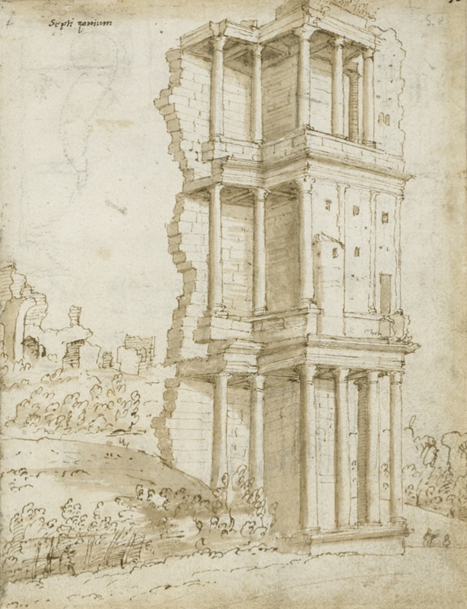 As mentioned in my last blog, the Architecture Space and Society Centre has two diverse and fascinating talks by distinguished visiting academics coming up: Caroline Van Eck (Cambridge University) will give our annual Thinker in Architecture lecture this Friday 8 March 6pm in Keynes Library on ‘Changing Objectscapes, Mediterranean Connectivity and the Emergence of the Empire Style in Rome and Paris’. Then the following Friday 15 March, 6pm, in Gordon Sq room 106, Claire Zimmerman (University of Michigan) gives a paper on a 20th-century American topic with global dimensions: ‘Building the World Capitalist System: Albert Kahn Associates of Detroit, 1900-1961’. The next Murray seminar features Sandy Heslop (University of East Anglia) on the questions surrounding a medieval manuscript: ‘The Tiberius Psalter: a book for Archbishop Stigand?’, 18 March 5pm in Keynes Library. And this week, Wednesday 6 March, 7:30-9, GOR G20, is the latest in the Arts employability events, featuring Clifford Thompson, writer and journalist for the BBC, talking about his work experience. All welcome – book here. Plus a future date for your diary: Tuesday 14 May, evening, will be a special History of Art-focused employability event. More in a future post! Plus another employment-focused opportunity later this month on 22 March in case you’d like to explore a career in teaching art history: a Discovery Day for Art History and Fine Art undergraduate students, post-graduate students and new and potential teachers of Art History A level, to be held at Dulwich Picture Gallery. This will be a chance to prepare materials, share ideas and test out strategies for teaching, that could be used for A level Art History, Art & Design Personal Studies and EPQs. Participants should bring laptops if possible. I hope you’re all enjoying reading week. I spoke recently to a colleague at another university (which shall remain nameless) – she told me they’d abolished reading week, which seemed like cruel treatment, of both staff and students! 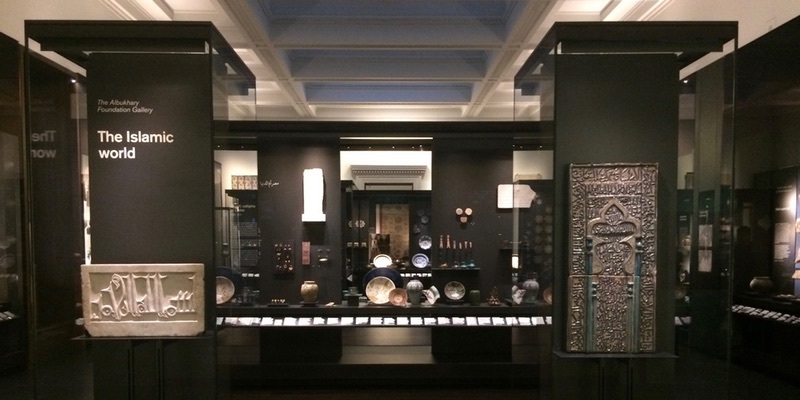 On Friday 1 March, 6-8pm, the Centre for Museum Cultures welcomes Professor Wendy Shaw Professor of the Art History of Islamic cultures at the Free University Berlin to give a talk entitled ‘Museums and Islamic Art: Whose Culture? Whose Colony?’, Gordon Sq room B04. This talk examines how Islamic art history emerges from methodological art historical layers, and becomes globalised in the modern era, both as a representation of Islam and as a representation of power, ultimately to ask how our rich collections might also speak otherwise. Further details and a booking link here. And also on 1 March, during the day, the ASSC presents a fascinating symposium ‘Conquest and Construction: Architecture and Landscapes in the Medieval Mediterranean’. Much recent scholarship on the medieval Mediterranean focuses on shifting borders and cultural identities. Conquest is one of the causes of such shifts. This one-day symposium will examine how the consequences of conquests were manifested in conquered cities and landscapes, asking how conquerors responded to their new environments and how conquered communities were built and re-built. Featuring a keynote talk by Leonie Hicks (Canterbury Christ Church University): ‘Landscapes of Conquest: Southern Italian Norman Chronicles and Other Animals’. More here. Please mark 8 March 6pm in your diary, when the ASSC will welcome its latest ‘Thinker in Architecture’, Caroline van Eck (University of Cambridge), who’ll be speaking on ‘Changing Objectscapes, Mediterranean Connectivity and the Emergence of the Empire Style in Rome and Paris.’ More here. ‘One of my motivations for applying for the History of Art MA at Birkbeck was to take advantage of the work placement. Despite being in full time employment, I had a very understanding manager and for two days a week I worked in the archive of the Bishopsgate Institute. While there I catalogued photographs, pamphlets, journals, and other social history ephemera, learning a bit about the various roles within an archive and gaining an insight into the incredible team at the Bishopsgate. This work gave me the necessary experience to apply for a job at the Victoria and Albert Museum as a Senior Documentation Officer working with the collections management system. The guidance provided by Birkbeck’s Careers Service, especially the CV builder, and the support I received from the placement module convener, Sarah Thomas, resulted in my getting an interview. Lots of research and preparation for the interview resulted in an offer and I accepted! Let these three be an inspiration to you, and send me news of yourselves and your art-history-related activities for future posts! Venice, Bedlam, prizes and studentships! I begin with a brilliant piece of news which is also an opportunity for those of you considering MA study in the department. 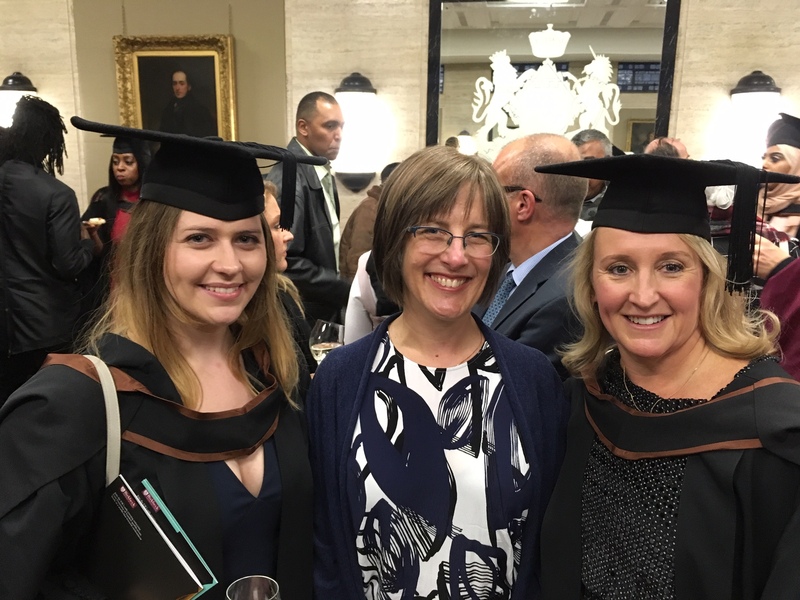 For the past three years, we have been able to award Wallace studentships to MA students in the department who demonstrate both academic excellence and financial need. Thanks to a further very generous donation by Graham and Denise Wallace, we can now offer the Wallace studentships for a further five years. 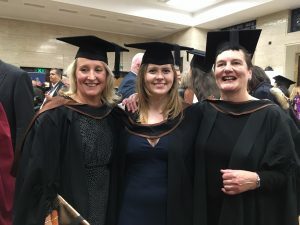 We are really really pleased about this, as you can imagine – the studentships attract excellent students to our popular MA programmes who would otherwise not be able to afford to come here. You can find out more about the studentships, as well as about other funding available for post-graduate study in the School of Arts here. Remember too that we’re currently accepting applications for our two new MA programmes: MA History of Architecture and MA History of Photography, as well as MA History of Art and MA Museum Cultures. The Wallace studentships support full-time study on any of these programmes by Home/EU students. Facing the Text: Extra-Illustration, Print Culture, and Society in Britain, 1769-1840, by Lucy Peltz, who is Honorary Research Fellow in the department, has won in the post-1800 category, so it’s good news all round for Birkbeck. Are you interested in exploring your options for employment after you have completed your degree? Are you wondering what kind of work you can do with a degree in History of Art? If so, come to our employability event on Thursday 7 February 2019, 6-7:30, MAL 402. 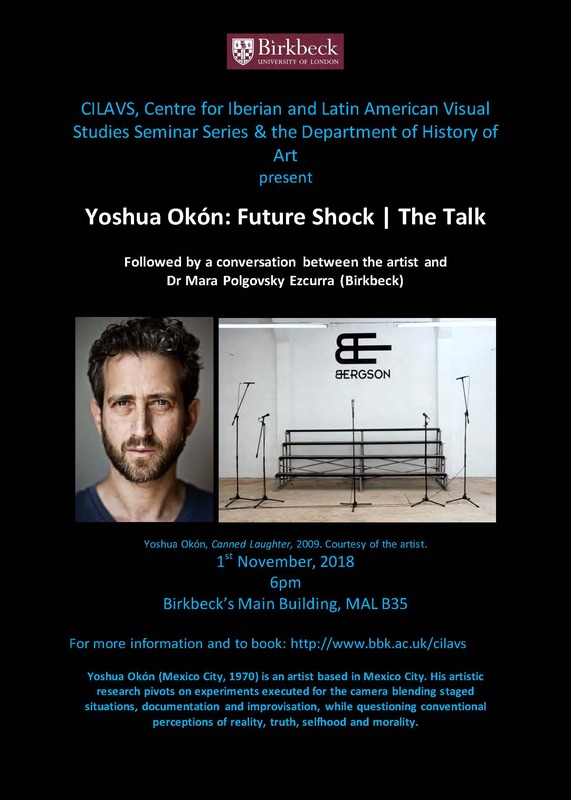 It will feature the presence of Gabriel Toso, who did a BA in History of Art at Birkbeck, talking about his work experience. Gabriel is currently the manager of Whitford Fine Art, one of London’s leading international art galleries, specialising in European and British 20th Century painting and sculpture. Book here. Also coming up is a screening and discussion co-sponsored by Birkbeck and the Warburg and Courtauld Institutes. Un Oeil, Une Histoire is a series of French-made films, each focused on an influential art historian. On Saturday 9 February, 1-4pm, in the Birkbeck Cinema, we will be screening the films on Svetlana Alpers and Georges Didi-Huberman, followed by a panel discussion and reception. This event is sold out – if you’ve booked a place and can no longer attend, please do cancel your booking to free up a place for someone else. A notice too about a lecture this Tuesday 5 February 6pm organised by our affiliated society, the London Art History Society. Katherine Cuthbert, an artist and art historian who is a graduate of the MA History of Art, will be lecturing on the ‘Triumphs and Laments’ project by William Kentridge, a South African artist, which is a ‘reverse graffiti’ frieze covering a 550 metre stretch of the Tiber embankment walls in Rome. Katherine worked with Kentridge on the project during a placement in Rome while she was on the MA. Book here. 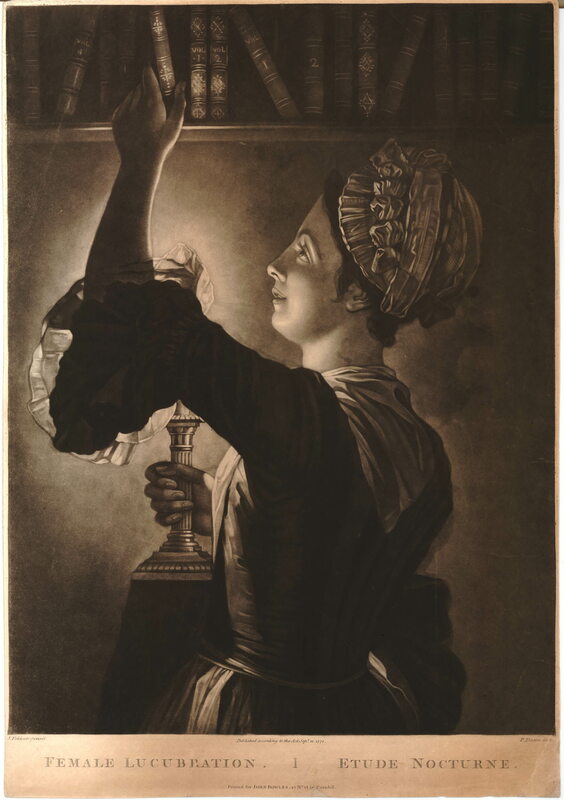 Anna Jamieson, PhD Student in History of Art, leads the next meeting of the Birkbeck Eighteenth-Century Reading Group, on the topic ‘The Sentimental Look in the Asylum: Henry Mackenzie and Sophie von La Roche at Bedlam’ on Wednesday 13th February, 12-2pm, Gordon Square room 106. Anna will introduce two texts which describe visiting Bethlem Royal Hospital, commonly known as Bedlam, during the latter decades of the eighteenth century: Henry Mackenzie’s novel The Man of Feeling (1771) and Sophie von la Roche’s diary entry of her visit in 1786. All welcome. For copies of the texts please contact Kate Retford: k.retford@bbk.ac.uk. Finally, some exciting news from an alumna: Gaia Penteriani has been appointed trustee of the Venice in Peril Fund, a UK charity which raises funds for the conservation of monuments, works of art and buildings across the city of Venice and its islands. Gaia has recently completed the MA in History of Art, with a focus on theoretical and empirical issues related to the preservation of art and architecture, in particular in Venice, so this appointment is a very fitting continuation to her studies and interests. 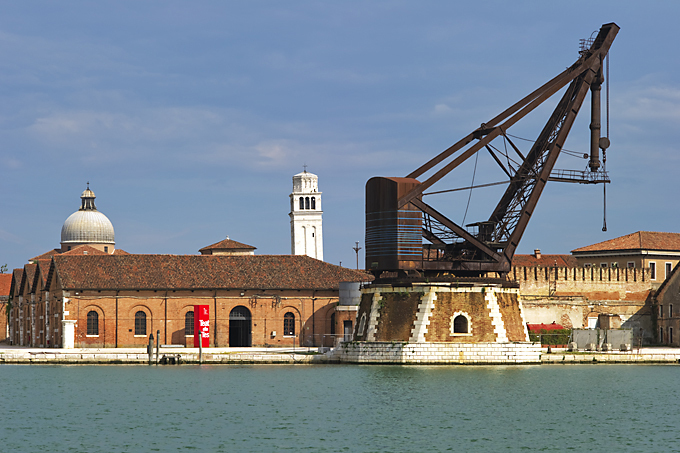 Recent campaigns of the Fund range from the conservation of illuminated choir books from the city’s churches, a project to reassemble a Venetian palace’s ceiling, a 17th-century garden statue of an elephant and plans for the Armstrong Mitchell Crane, a masterpiece of Victorian engineering which soars above the Arsenale skyline. In support of its conservation work, Venice in Peril also promotes a deeper understanding of Venice – its complex history, the contribution it has made to world culture and the challenges it faces today – to encourage responsible and informed engagement with the city, through a programme of lectures, publications and research grants. You can find out more about the Fund, its projects and events programme here. More on alum activities in my next post – and more on Venice in due course too! One last blog before the end of 2018 and the proper beginning of the holidays. On 10 December, the Centre for Museum Cultures hosted a ‘Meet the Curator’ event with Dr Lucy Peltz, senior curator at the National Portrait Gallery and an Honorary Research Fellow at Birkbeck. 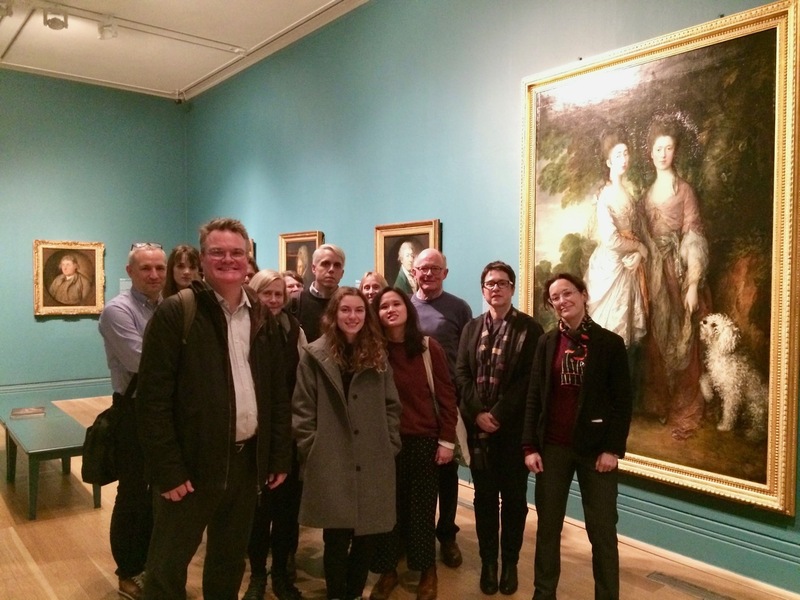 The group (shown in the photo here) was treated to an exclusive after-hours tour of the Gainsborough’s Family Album exhibition. 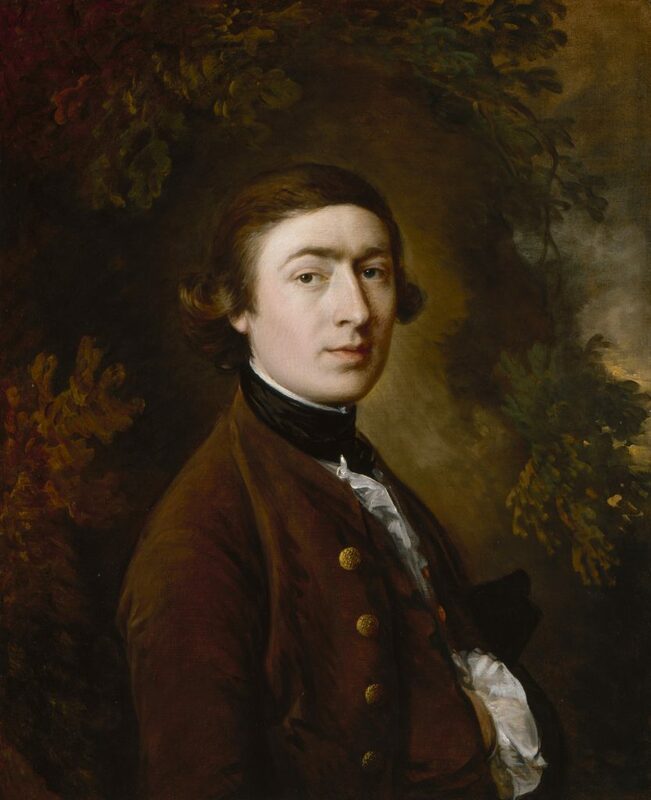 Dr Peltz gave some fascinating insights not only into Gainsborough and his acclaimed portraits, but also into some of the challenges faced by the curator in the years building up to opening night, and the excitement of discovering major works that had long been considered lost. Keep your eyes open for future similar events in London museums organised by the Centre. 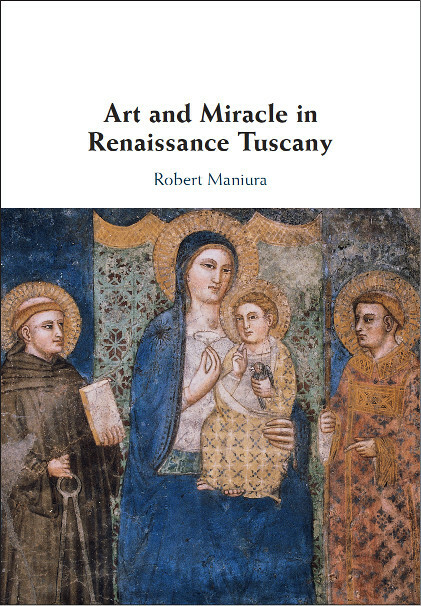 We also recently celebrated the publication of Robert Maniura’s new book, Art and Miracle in Renaissance Tuscany, published by Cambridge University Press. 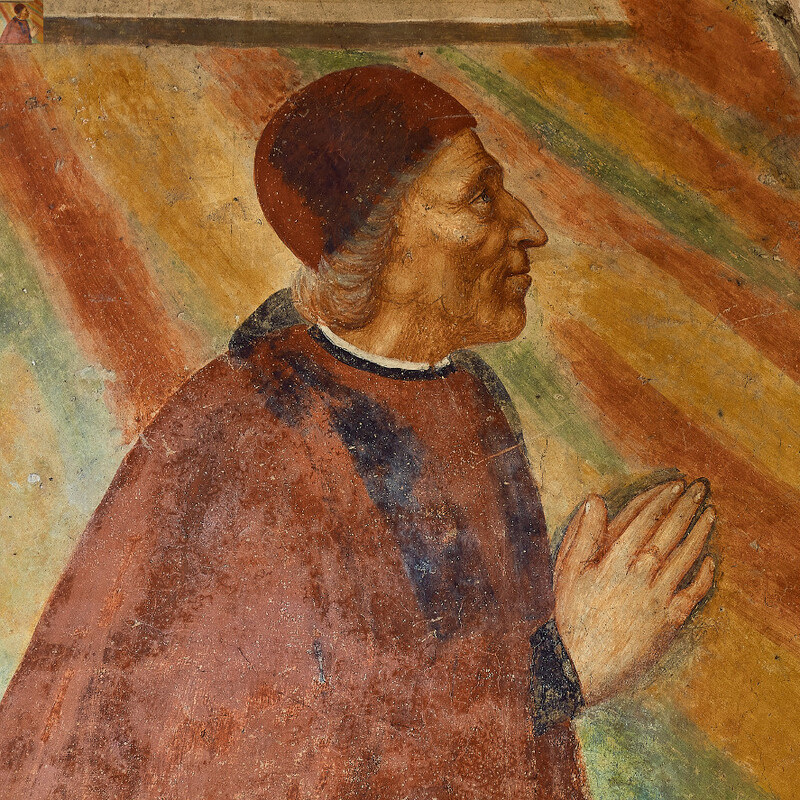 The book uses the records of a Prato lawyer, Giuliano Guizzelmi (depicted in the image below), as a guide to the visual and devotional culture of Renaissance Italy. Focussing on his treatment of local miracle shrines, it explores the active role given to the visual among the challenges of everyday life. Warm congratulations to Robert on this major publication. Leslie Topp (that’s me) was on a panel co-organised by the Design Council and the Wellcome Trust’s Policy unit on ‘Building Healthy Places’, timed to coincide with the fascinating Living with Buildings exhibition currently on at Wellcome Collection until 3 March. I offered the historical perspective alongside an architect, a developer and an urban planner (I seemed to end up saying ‘there’s nothing new about that’ a lot). Health and wellbeing is a hot topic in housing and planning policy at the moment. 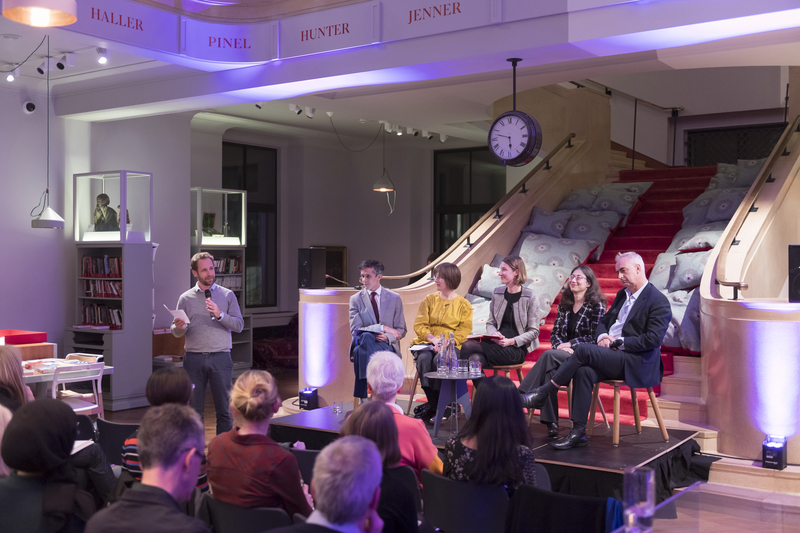 The image shows the panel in the gorgeous Wellcome library reading room which is right around the corner and open to the public – check it out. Those cushions are a lot more comfortable than the chairs we were sitting on. The Department of History of Art is collaborating with the Courtauld and Warburg Institutes to organise an event you should really try to make it to on Saturday 9 February, 1-4pm in the Gordon Square cinema: ‘Un Oeil, Une Histoire: What do we do when we do art history?’ ‘Un Oeil, Une Histoire’ is a series of French-made documentaries, each of which focuses on a well-known art historian in the setting of their own home, speaking to camera about a personal selection of artworks (present as postcards laid out on a table) and tracing their trajectory of into the discipline and particular mode of thinking about art and its histories. You can see a trailer for the series here. We will be screening two of the films, one on Svetlana Alpers, the American scholar who writes on Northern Renaissance art, and the other on Georges Didi-Huberman, a French art historian and philosopher whose writings explore art historiography, psychoanalysis, and contemporary art. The screenings will be followed by a round table of three early career art historians from each of the participating institutions, reflecting on the films and on their own positions and practices. A great opportunity to see two absorbing and fascinating films and to think about what we do when we do art history. Book your place here. Happy holidays! See you in 2019. Francis Sydney Unwin, St Mark’s, Venice, etching, 1911. British Museum. And the destination for our next departmental field trip is, you guessed it, Venice! We are delighted to have two young scholars of Italian art, Zuleika Murat and Sarah Ferrari, acting as the guides. The trip, which is scheduled for 8-12 April 2019, will be an in depth experience of the city, its streets, canals, architecture, religious and daily life, and of course its art collections, with a day trip to Padua to see Giotto’s famous frescos in the Arena chapel. You will hear more soon from the admin team about how to sign up. Sooner than Venice, tomorrow night in fact, is the latest in the talks organised by the Architecture Space and Society Centre. 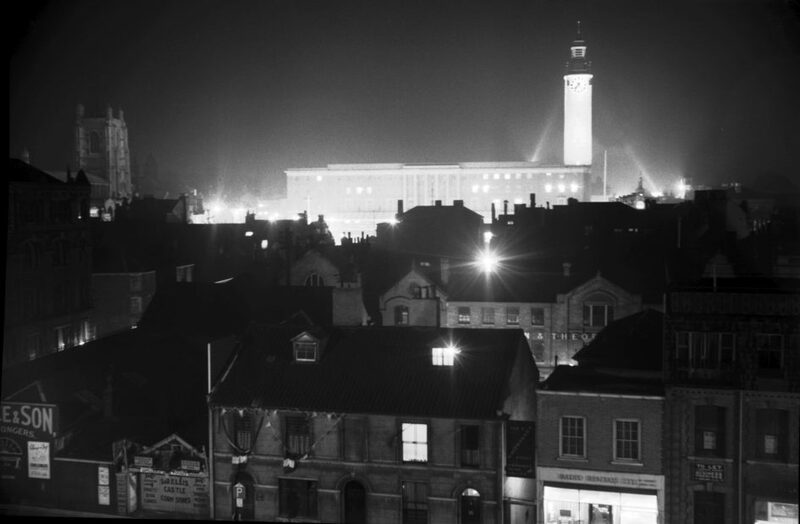 Neil Shashore, of Liverpool University, will be giving the paper ‘Civic Centre: Architecture, Civic Design, and the Municipal Project in Interwar Norwich’. He’ll be talking about the emergence of the idea of a ‘Civic centre’ connoting deliberately planned and grouped buildings and spaces for public administration and assembly, while expressing civic identity and ceremony in a self-consciously democratic age. Next week is the next in the excellent and informative series of events exploring your options for employment after you have completed your degree. Are you wondering what kind of work you can do with a degree in Arts? If so, come to our employability event on 11 December 2018. The focus of the event will be on finding employment for those with an Undergraduate degree in English. It will feature Sam Zdzieblo coming from the company Joe Public , talking about his work experience and transition from study to work. All Arts students are welcome to attend. Find out more and to book your place for the 11 December session here. And do catch the fascinating and playful exhibition Circus Life, on in the Peltz Gallery, before it closes on Wednesday 12 December. This new exhibition celebrates the 250th anniversary of the birth of circus and investigates circus’ continuing appeal as a subject for visual artists through the eyes of recent and contemporary British practitioners. Kate Retford (whom you’ll remember as previous HoD and author of this blog) has had her recent book The Conversation Piece: Making Modern Art in Eighteenth-Century Britain shortlisted for the Apollo Book of the Year award 2018. 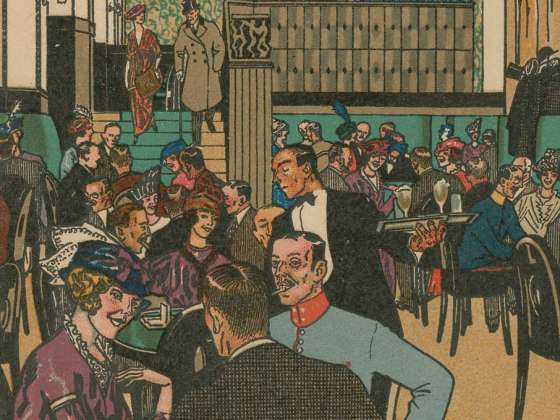 The Conversation Piece was published for the Paul Mellon Centre for Studies in British Art by Yale University Press. It looks at the emergence of a new type of small group portrait in eighteenth-century Britain, in which diminutive sitters, engaged in activities like taking tea or playing cards, are seen seated in polite interiors, or enjoying their landscape gardens. 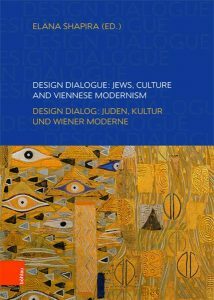 The book examines the reasons for the development of this innovative art form, unpicks the resonances of that evocative word ‘conversation’, analyses the nature and function of those carefully described settings, and explores the full range of relationships encompassed in these groups. Kate has been on research leave for a year and a half, since stepping down as Head of Department, but will be back in January, and looking forward to taking over as MA History of Art programme director, and teaching her MA Option on eighteenth-century portraiture. Which will include a class on the conversation piece of course! Mara Polgovsky Ezcurra has had an article published in latest issues of the key American publication Art Journal. 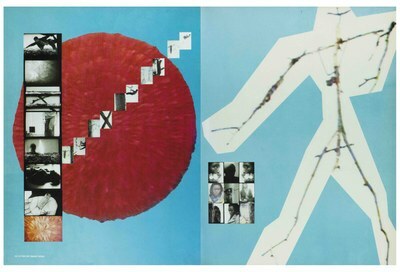 “Beyond Evil: Politics, Ethics and Religion in León Ferrari’s Illustrated Nunca Más”, looks at the Argentine artist’s controversial series of collages Nunca Más (Never Again, 1995-96), named after the 1984 human rights report by the Argentine National Commission on the Disappeared. She argues that this series provides a visual rereading of the first extensive investigation of human rights violations during Argentina’s last military dictatorship, foregrounding the conjunction of repressive power and appeal to morality that characterized this regime. I’ll end with a striking hybrid historical-contemporary image from Mara’s article – and I’ll be back with one more blog before the break. 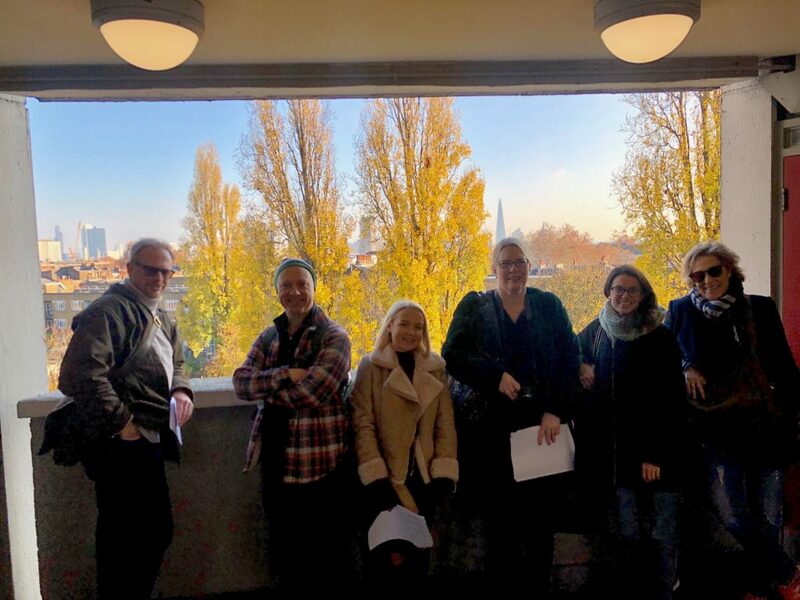 This photo shows students with Professor Mark Crinson on a field trip for the BA option module ‘Concrete and Flesh: Modern Architecture and the Body’. Within a mile or so of Birkbeck, they were studying three buildings designed by the great Georgian-born architect Berthold Lubetkin for (what was then) the Borough of Finsbury. They visited the Spa Green Estate, the Finsbury Health Centre, and Bevin Court, and the photos show them on the top floor of the stairhall at the last of these, from where they could look down onto Lubetkin’s great Baroque-Constructivist space and out to St Paul’s Cathedral. The architecturally-minded among you will have spotted that the next evening this same stairhall featured in a scene in the BBC’s adaption of John Le Carré’s novel The Little Drummer Girl. And to learn more about modern British architecture beyond London, come along to the Architecture Space and Society Centre‘s next event, 7 December 6pm in Keynes Library. Neil Shashore, of Liverpool University, will be giving the paper ‘Civic Centre: Architecture, Civic Design, and the Municipal Project in Interwar Norwich’. He’ll be talking about the emergence of the idea of a ‘Civic centre’ connoting deliberately planned and grouped buildings and spaces for public administration and assembly, while expressing civic identity and ceremony in a self-consciously democratic age. Sean Willcock, Leverhulme Early Career Fellow in the department, is producing fascinating research on the intersection between colonialism and photography. His article, ‘Aesthetics of the Negative: Orientalist Portraiture in the Digitised Collodion Plates of John Thomson’ was featured in the October issue of the journal Photoresearcher. It’s a response to the recent exhibition at the Brunei Gallery, Through the Lens of John Thomson, considering whether the show’s invitation to pay sustained attention to the photographic negatives – as opposed to the positives that circulated during Thomson’s lifetime – might enable new political readings of nineteenth-century colonial photography to emerge. 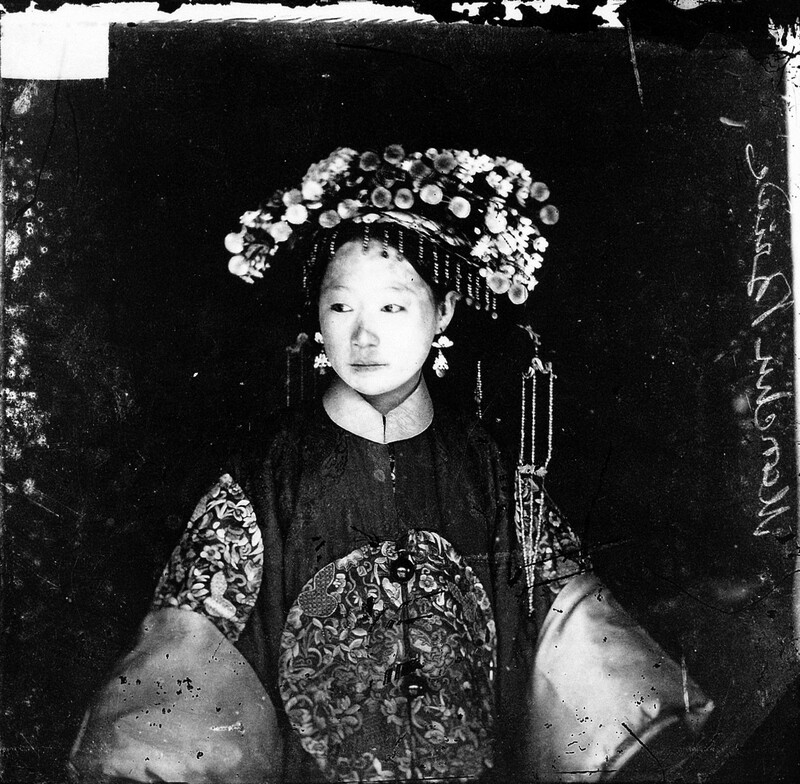 John Thomson, Manchu bride, Peking, Penchilie province, China, 1871, Wellcome Library, London. Sean has also just given a paper on another photography topic: ‘Archiving Atrocity: Photography and the Amritsar Massacre of 1919,’ at the International Conference of Photography and Theory. With the centenary of the infamous Amritsar Massacre approaching, the British government is under increasing pressure to issue an apology for the colonial slaughter of hundreds of Indian civilians which took place on 13 April 1919. The paper looked at the contested archives of this atrocity, considering how photographs linger to prick conscience or demand explanation in ways that continue to shape notions of national culpability. Sarah Thomas, Lecturer in the department, will be participating in a discussion at the Paul Mellon Centre on ‘Publishing Your Thesis’. Organised by the PMC’s Doctoral Researchers’ Network, the session offers an overview of the changing landscape of academic publishing, including some of the current opportunities and challenges. It includes practical advice from editors at Yale University Press and the Paul Mellon Centre on choosing and approaching publishers, writing book proposals, and turning chapters from your thesis into writing samples. The discussion will also consider how publishing your research during your PhD might impact the process of turning your thesis into a book. Fri 7 December 2018, 16:30 – 17:30, booking essential. 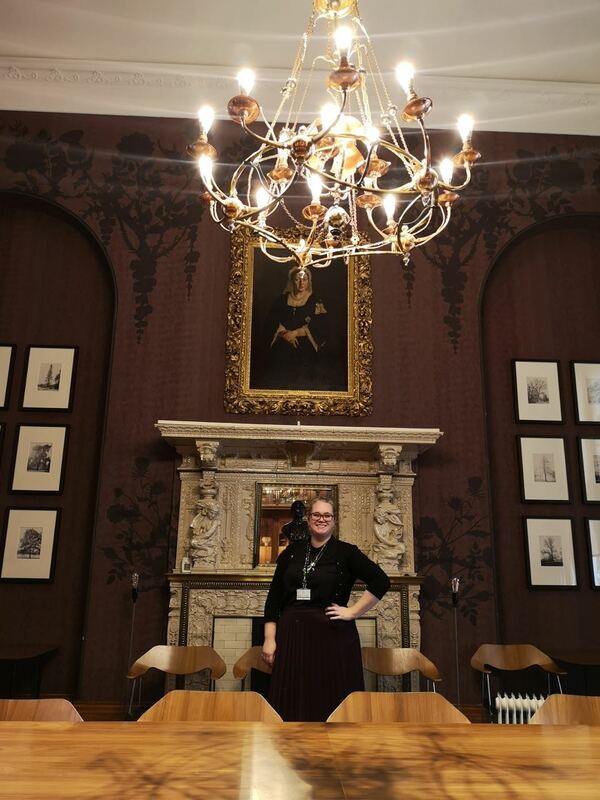 And finally, the Centre for Museum Cultures has organised a gallery talk by Dr Lucy Peltz, Head of Collection Displays (Tudor to Regency) and Senior Curator 18th Century Collections (and Honorary Research Fellow at Birkbeck). She will give an informal talk and answer questions in Gainsborough’s Family Album about her role in co-curating this fascinating exhibition. Monday 10 December, 6.00-7.00pm. You still have time (just) to catch the first Architecture Space and Society Centre event of the year, tonight (9 November), on the unexpected combination of the historic city of Venice and the modernist architecture of Le Corbusier: Dr Sophia Psarra from the Bartlett speaking about Le Corbusier’s Venice Hospital at 6pm in Keynes Library. And next week current students have a chance to meet, chat and find out more about the History of Art Society’s planned events at the Welcome Party, Tuesday 13 November 7.30pm in the Keynes. 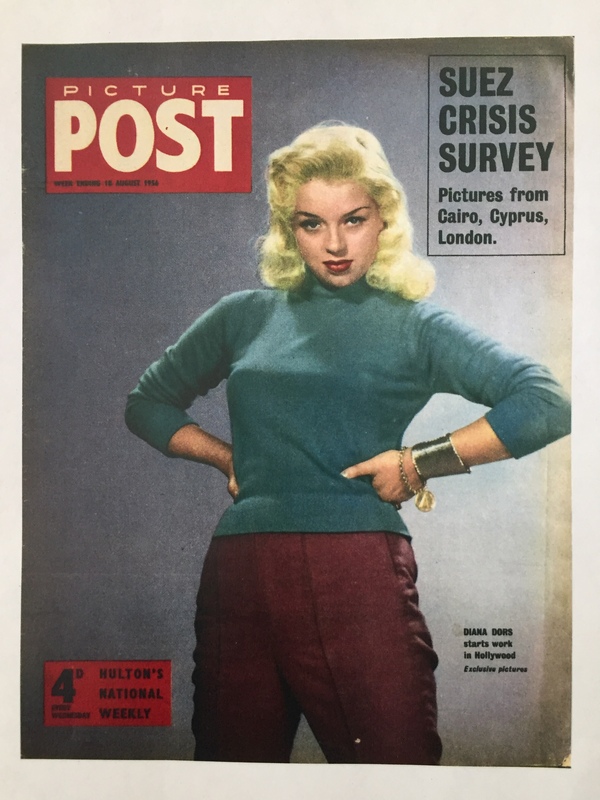 The History and Theory of Photography Centre is hosting a fascinating-sounding paper by Anna Dahlgren from Stockholm University on ‘i-D and Artforum: the printed magazine and the merging of art and fashion’: Weds 21 November 2018, 6-7.30pm, room TBC. Finally, looking back to the future, I want to highlight what is now a full set of excellent blogposts on the ‘Forward Looking’ workshops and the Anniversary lecture, earlier in the term, all written by PhD students in the department. Many thanks to them for these records of a memorable and meaty day. 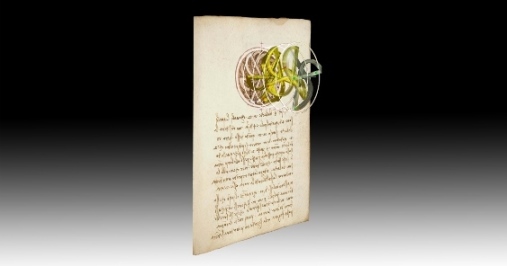 Maria Alambritis blogs about the ‘Futures for Publishing in Art History‘ workshop; Sarah McBryde about the ‘Future of Studying Old Art’, and Mark Liebenrood, on the Centre for Museum Cultures site, about the lecture by Tristram Hunt, Director of the V&A, on ‘Design for a Nation: The V&A in the 21st Century‘. Hope you’ve had a good reading week, and we look forward to seeing you back in the classroom next week. 51 may be a boring kind of age, but it helps if you can look back on a 50th year full of celebrations, especially of the forward-looking kind. The department’s celebrations of Opening up Art History: 50 Years at Birkbeck culminated in a really stimulating, truly future-oriented day last Friday 19 October. The morning workshop on ‘The Future of Studying Old Art’ featured speakers from the BBC, the V&A, the charity Art History Link-up and Birkbeck, and made us all feel excited and optimistic about ‘old art’s continuing relevance and ability to fascinate new audiences. 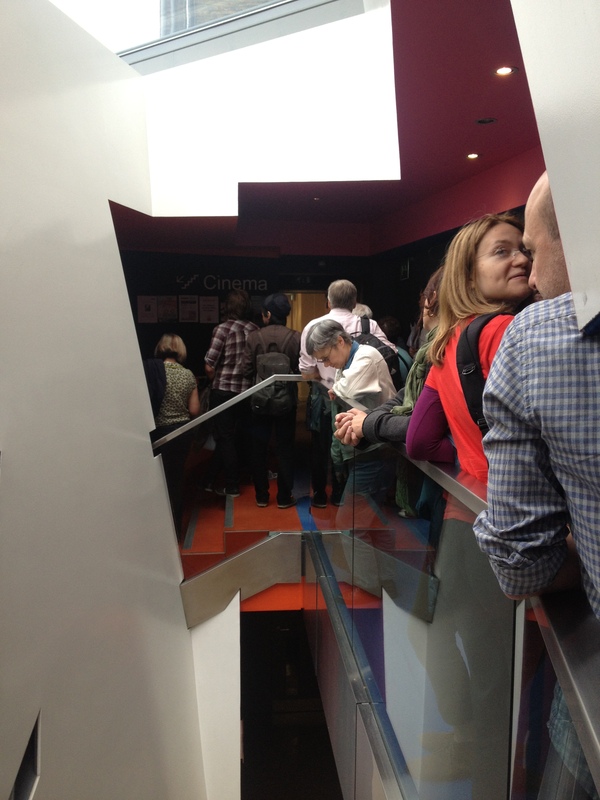 PhD student Sarah McBryde has written up a great blogpost about the event. More to come in future blogs about the afternoon workshop – a *very* lively discussion of the fraught/opportunity-filled future of publishing in art history – and about the evening’s inspiring lecture by Tristram Hunt on the integration of past and future at the V&A, which also marked the launch of the new Centre for Museum Cultures. Check out their excellent new website (the handiwork of PhD student and Centre publicity officer Mark Liebenrood) where you’ll find photos of the event and much more about the Centre, which has been established to provide a hub for exchange and debate on all aspects of museology, curation and heritage. 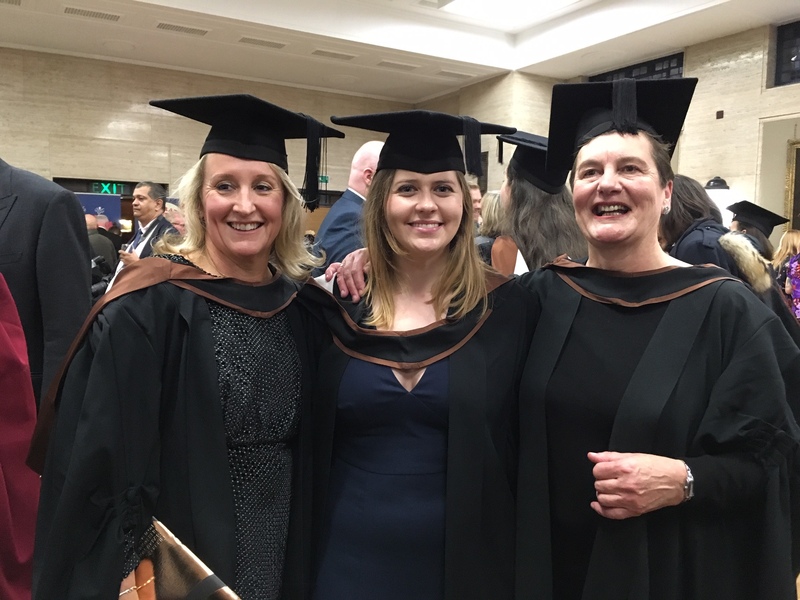 The director is our own Sarah Thomas, working in close collaboration with Annie Coombes, Gabriel Koureas and Fiona Candlin, as well as colleagues across Birkbeck. And now to the ‘we want you’ bit. We want you – we and your fellow students NEED you – to come forward to be representatives for your programmes. It’s an excellent way to meet your fellow students, keep abreast of issues and changes and work with staff to improve the student experience. Being a student rep means that your fellow students contact you with any issues and feedback, which you then bring to termly meetings (timed to fit in just before your classes) with me and programme directors. There are still places, especially for MA Museum Cultures and MA History of Art as well as BA History of Art year 1 and BA History of Art with Curating. Please contact art-history@bbk.ac.uk if you’re interested. And now to the fun stuff and a date for your diary. 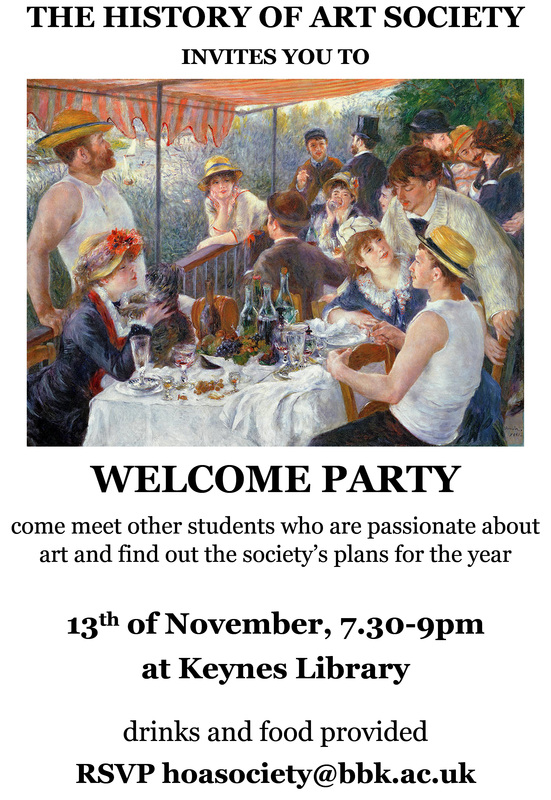 The History of Art Society – your student society – is holding its first social event of the year. Do come along and hear about what’s going on. The society is organised by a really lovely and creative group of people, and word is they’ve got hold of some funds for events too! You’ll get free or discounted entry to over 240 museums and galleries across the UK, 50% off major exhibitions, and café and shop discounts too. Plus, buy a pass today and you’ll be entered into the #WeAreArtful Prize Draw to win one of five VIP museum experiences and a polaroid camera to capture the fun. Finally, the next ASSC event is coming up. Sophia Psarra from the Bartlett School of Architecture at UCL will be speaking about a fascinating late project by Le Corbusier in Venice: ‘Le Corbusier’s Venice Hospital: a genealogy of individual and collective intelligence in his architecture’. 9 November, 6pm, Keynes Library. More here. Term is well and truly underway, with inductions behind us, lecturers and seminars ongoing in many diverse locations around the place (bet you never thought studying art history would take you to the London School of Hygiene and Tropical Medicine), LOTS of marking (MA dissertations and projects on topics from 14th-century frescos to sports photography), and a whole range of research events planned and ready to be put in your diaries. 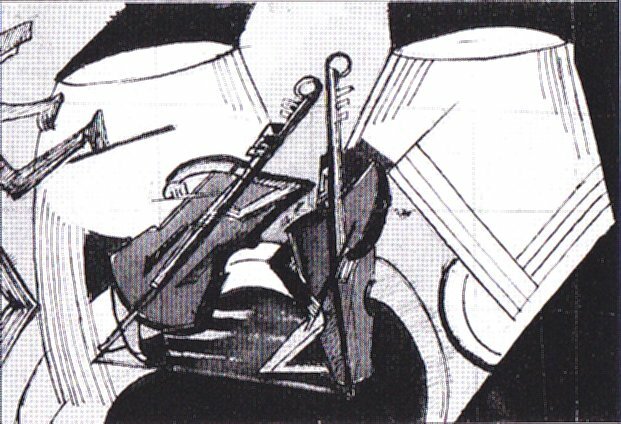 You can already go and see the visually striking and thought-provoking exhibition in the Peltz Gallery, Day for Night: Landscapes of Walter Benjamin on until 28 October. In a multi-media display, the various landscapes inhabited by the hugely influential early 20th-century German intellectual Walter Benjamin – from Berlin to Capri and Naples, and ending in Catalunya, Spain, where Benjamin died while fleeing the Nazis in 1940. The next Murray Seminar, on 16 October, will be on the subject ‘Vestments and Textiles in Hans Memling’s God with Singing and Music-making Angels‘. 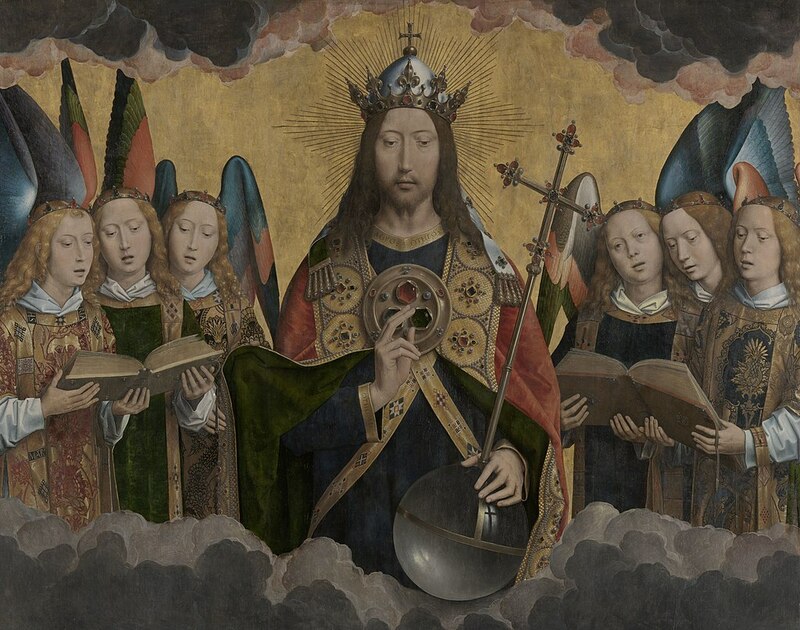 Lisa Monnas looks at the costumes and textiles in paintings by the fifteenth-century Flemish painter Hans Memling. How can vestments and other textiles help us understand a painting in new ways, and what can they tell us about broader questions of ‘realism’? The Murray Seminars are an opportunity to hear and contribute to cutting-edge research, often at the very early stages of work in progress. All are welcome, and they are particularly suited to post-graduates and students considering post-graduate study. All this term’s seminars take place in The Keynes Library (43 Gordon Sq room 114) at 5pm. Talks finish by 5.50pm, allowing those going to classes to leave, and are then followed by discussion and refreshments. Do go along – it’s a fascinating programme. You can see the poster with all this term’s dates here. There are still a few (just a few!) places for the two workshops and the big anniversary lecture on 19 October: see my last blogpost for details. Hope to see many of you there. Really pleased to announce an exciting new series of workshops and advice sessions for those interested in careers in the arts. The School of Arts and the Careers & Employability department have designed a programme of employability events for 2018-2019 tailored to Arts students at both Undergraduate and Postgraduate taught levels, and including events to suit each department in the School. Here you can download a general information about dates and types of events. The first of these events, Arts: My Unique Ability, will take place on Thursday October 18, 6-7:30, MAL 633. All events are free and open to all students in Arts. Booking here is indispensable. Two of our students have been doing exciting things out and about, and blogging about it. Danilo Reis, a final year student in BA History of Art with Curating, was one of the recipients of the 2018 Venice Fellowship, a scheme co-sponsored by the British Council and Birkbeck that allows two Birkbeck students to spend a month in Venice working at the British pavilion in the renowned Venice Biennale and developing an independent research project. Danilo’s written a fascinating account of his time in Venice and his project ‘subverting’ the classic tourist guidebook to the city here. 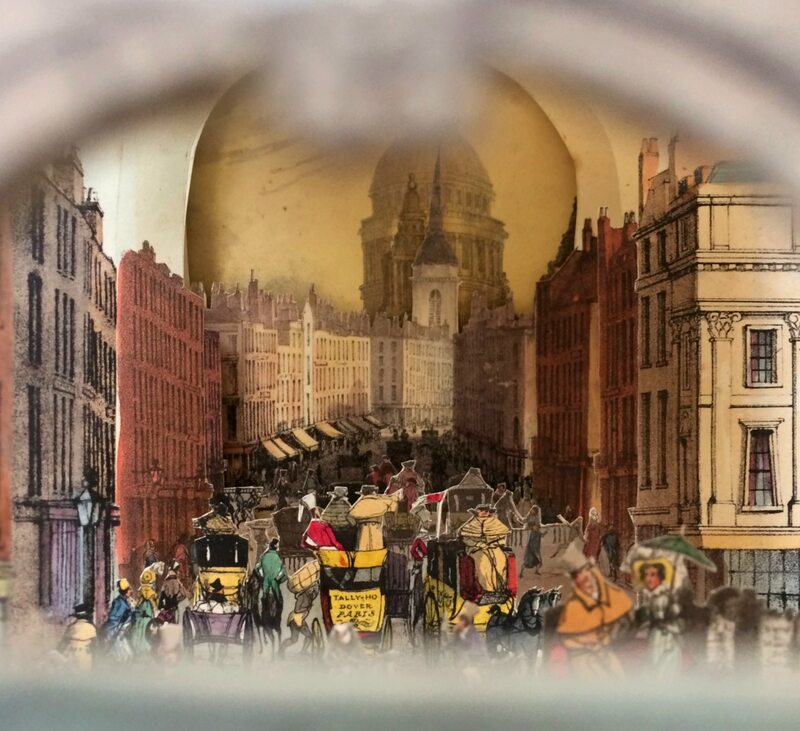 Adam Coleman, who completed the Graduate Certificate in History of Art and Architecture in 2017-18 and is now on the MA History of Art, had a busy weekend at Open House London, the big architecture festival last month. Not only did he do a bespoke tour of our own 43 Gordon Square, but he initiated and co-led a tour of a very interesting but little-known housing estate in Tottenham, which he had researched for his extended essay on the Grad Cert. He writes about the experience bringing architectural history to a broad audience here. Staff members have been busy too. Kasia Murawska-Muthesius was invited to contribute to a conference on the bodily deformation and emotions, Mis-Shapings: The Art of Deformation and the History of Emotions organised by Paolo Gervasi at the Queen Mary University of London, on 13 September. Her paper, ‘Perfetta deformità: Caricature and Embodiment‘, focused on the Seicento art treatises and on the ways of theorising multiple paradoxes of this subversive art form, which strives for perfect deformity instead of perfect beauty, which is capable of achieving likeness through deformation, and which serves as a catalyst in bringing communities together by poking fun on the bodily defects of their members instead of hiding them. A warm welcome to all our new students, and welcome back to those of you who are continuing with us. Inductions happen this week and next, and classes begin next week – I hope that on balance you’re feeling more excited than overwhelmed! If you’re new to Birkbeck and this blog, I should tell you that I usually post every other week during term, filling you in on events and developments in the department, reporting on staff activities as well as on achievements of students past and present (please do feel free to contact me with news you’d like me to include) and lots more. We are very excited to welcome a new member of staff to the department this term: Dr Mara Polgovsky Ezcurra joins us as Lecturer in Contemporary Art. She’s recently completed a Junior Research Fellowship at Cambridge University and is a specialist in contemporary Latin American art. This year she will be teaching mostly on first year BA modules, and is also available for dissertation supervision. You can read more about her here. We kicked off our year of public events last weekend by opening the doors of the School of Arts for Open House London 2018. Over Saturday and Sunday, and despite the less than ideal weather, we welcomed 315 visitors on 37 tours, organised and led by a brilliant and dedicated group of student volunteers. Take a look at this short film if you want to learn more about the fascinating School of Arts building. Friday 19th October is a big day for us – a day of workshops and a public lecture by Tristram Hunt, rounding off the Department of History of Art’s 50th anniversary celebrations and launching the new Centre for Museum Cultures. In two public workshops in Gordon Sq B04, on ‘The Future of Studying Old Art’ and ‘Futures for Publishing in Art History’, Birkbeck’s academics are joined by experts from the worlds of museums, media and publishing to put our collective finger on the pulse of the discipline. Each workshop focuses on an area of crisis and transformation, asking where we are now, what’s next, and why. The workshops are kindly supported by the Murray Bequest. Then at 6pm in Beveridge Hall, Senate House we welcome Dr Tristram Hunt, Director of the V&A to give the Birkbeck History of Art Anniversary Lecture,’Design for a Nation: The Victoria and Albert Museum in the 21st Century’ Dr Hunt will discuss how the museum’s founding commitment to design, education and industry continues to define it today. Tracing the museum’s genesis, from its Victorian roots in the Design School Movement of the 1830s, through the Great Exhibition of 1851, to its establishment in 1852 as the Museum of Manufactures, he considers how the V&A’s British, Germanic, Indian and Oriental origins engendered a world-class collection. In our contemporary age of Brexit, Netflix and digital technology, Dr Hunt uses this cultural lens to consider the museum’s place in the world today. Dr Hunt’s lecture will be followed by a drinks reception and the launch of Birkbeck’s new Centre for Museum Cultures. See here for more information and links for booking. Book soon! Places are limited.